Morning all, hope you're all well. I know I posted a skincare routine not too long ago, so you're probably wondering why I now have a new one. My old one worked really well for a good number of weeks, but my skin slowly grew to hate it. I hardly ever have blemishes, but I broke out really badly and my skin was constantly raw red. Not a good look. In all honesty, my skins condition made me really miserable so I had to do something about it. Me and my lovely other half were out and about at the Trafford Centre so I hit up Debenhams and Boots in an attempt to fix my problem. I'd normally relish this experience but I was so down in the dumps that the whole thing just seemed futile. There were so many different skincare products and I just didn't have a clue what would work for me and I didn't want to waste any more money. I think the problem with the products I'd been using is that they are overly chemical in nature. They were full of alcohol and SLS amongst other things and my skin was just reacting to ingredients that were too harsh for it. So I went forth and sought out products which were SLS, alcohol, paraben and mineral oil free. Step in the Good Things range. I don't know why I'd never heard of them before but this line is amazing. All of the products are quite literally made of goods things so you can be assured that there are no nasties which will harm the skin. The best thing of all is that they are so budget friendly, all of the products cost under £10 which is amazing considering equivalents are definitely more in the high end price bracket (if you are interested, I managed to snag mine on a 2 for £6 offer which is still running at Boots). First up, I must say that their products smell amazing. Like berries and all kinds of good fruity stuff. Divine. 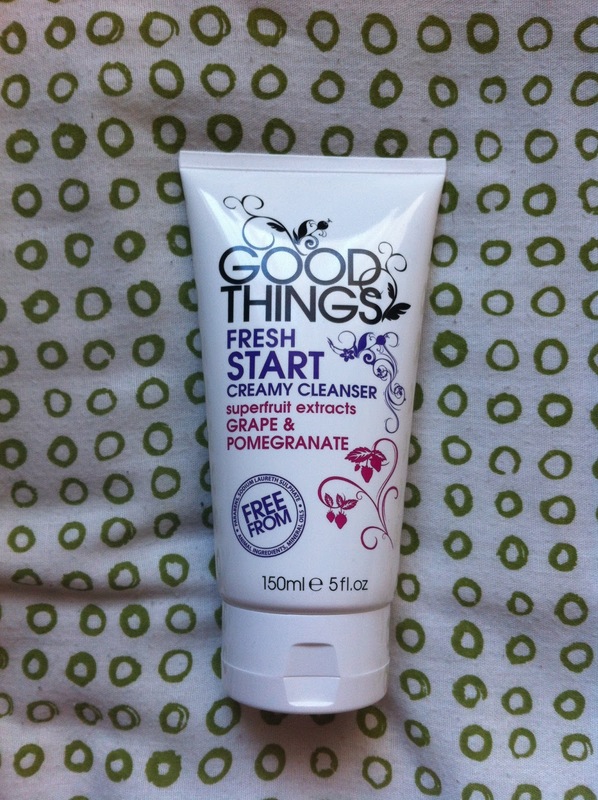 I use the Fresh Start creamy cleanser (£5.99) morning and night and massage it in for around a minute to really cleanse my skin. It leaves my skin feeling clean without feeling tight which I really enjoy. I've also noticed that my skin it noticeably less red after cleansing with this which is great. 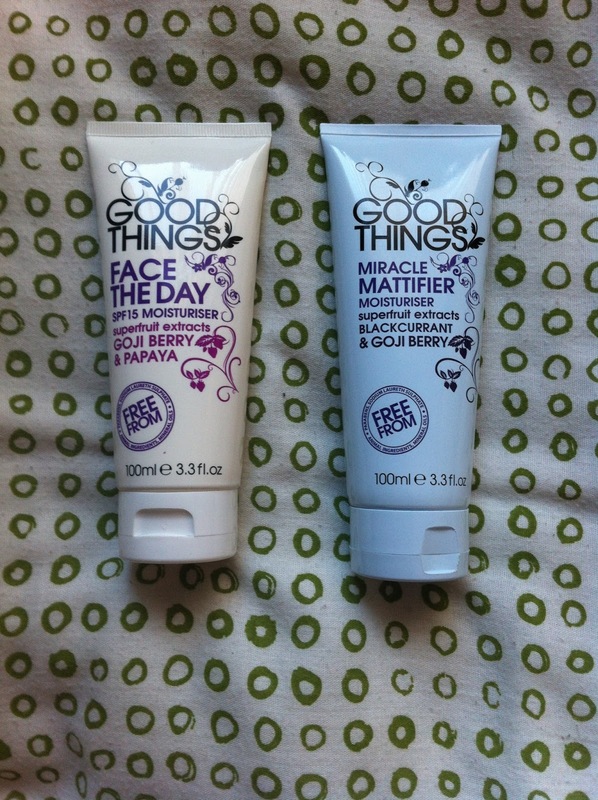 With regards to the moisturisers (£7.99), I switch between the two depending on what I'm doing that day. If I'm going out and about then I use Face the Day with SPF, if I'm staying in then I use the Miracle Mattifier. So far I'm really enjoying these too, they work really well on my combination skin and have helped heal the existing blemishes. Inbetween using my cleanser and moisturiser, I've also added a serum to my regime which is helping reduce my skins sensitivity and redness. 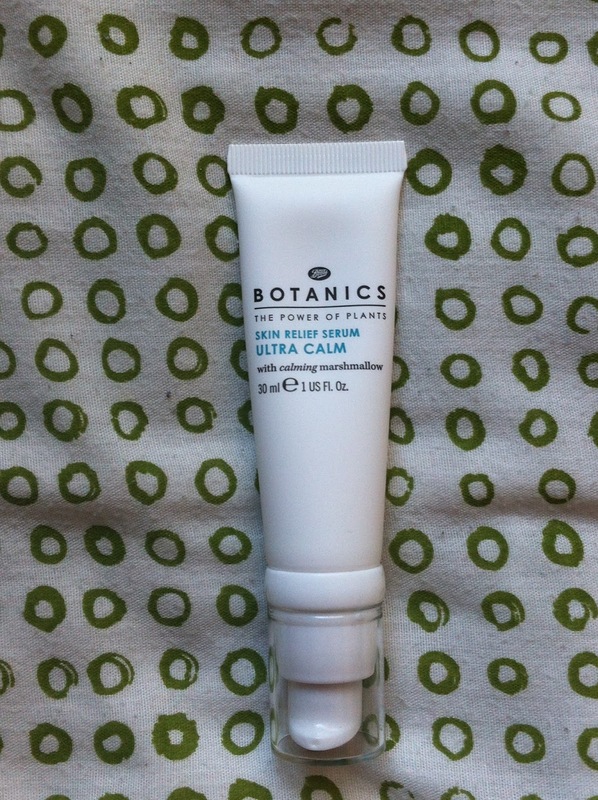 My current one is the Botanics Skin Relief Serum from the Ultra Calm line which costs £7.99. It's not as thick as a normal serum but it's thick enough. It smells lovely and I have genuinely noticed that my skin is less sensitive which means that any redness I do have is minimal and is easier to cover. I am a huge fan of this so far and I can see it becoming a staple. 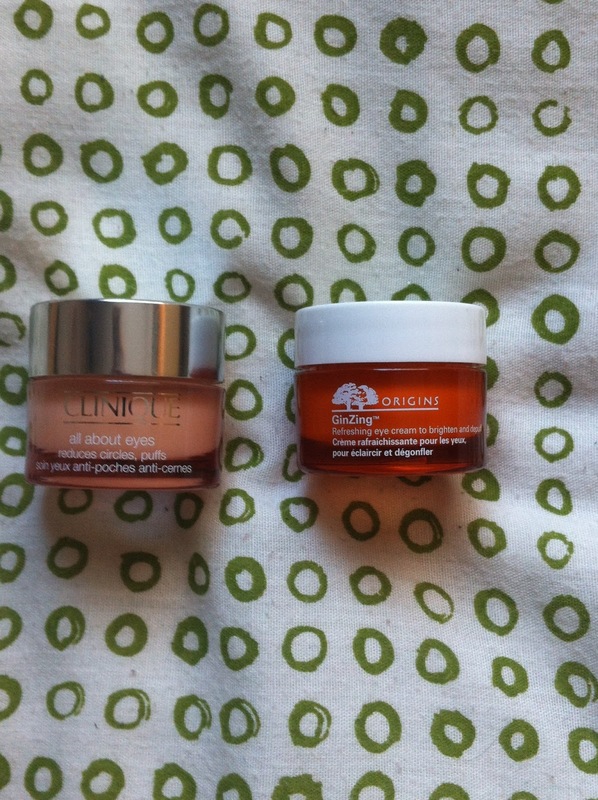 After my little trip to Boots I wandered over to the Origins counter in Debenhams and things happened. 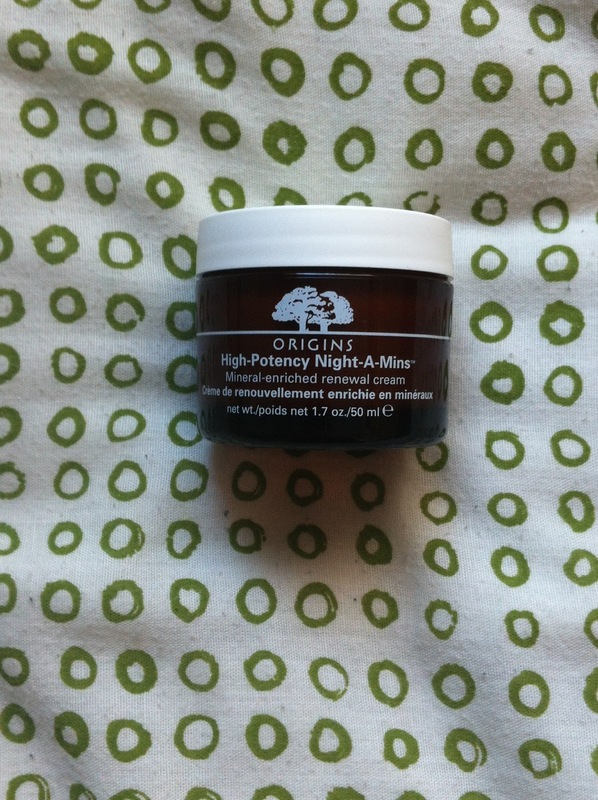 I've been eyeing up their High Potency Night-A-Mins night cream for quite a while now but have never gotten round to purchasing it. When I went in, there was a 10% off promotion going on so I thought I would take advantage and pick it up. It's not the cheapest of creams, retailing for £33 but I have high hopes for this going off some of the reviews I've read.So far I'm really enjoying using it; it's a thick cream but it sinks in and my skin never feels greasy. Also the scent is so yummy. It smells like oranges! Last but not least are the peeper pamperers. I've stuck with my Clinique All About Eyes (£24) for night time because it's really hydrating and I feel it really does help with dark circles and puffiness. However, I've added Origins GinZing (£21) to the mix as I wanted something that really brightens for the morning. This works an absolute treat and I love it. So this is my new, more natural regime and I'm loving it. I'm going to post full reviews of each of the products in the coming weeks so look out for those. I do have a question for you all though... How important is it to you that your skincare products are paraben, SLS etc free? Is it something you actively look for?